The California Preservation Awards are a statewide hallmark, showcasing the best in historic preservation. The awards ceremony includes the presentation of the Preservation Design Awards and the President’s Awards, bringing together hundreds of people each year to share and celebrate excellence in preservation. Click here to read more and submit an award nomination. Since 1983 over 500 projects have been recognized with a Preservation Design Award. Winning projects are selected by a jury of top professionals in the fields of architecture, engineering, planning, and history, as well as renowned architecture critics and journalists. The jury selects projects that have furthered, to a notable degree, the purposes of the profession, consistent with the California Preservation Foundation’s mission. President’s Awards honor people deserving of special recognition for their outstanding preservation efforts. Since its inception in 1991, this program has recognized more than 150 individuals and organizations whose work allows others to gain a deeper appreciation of historic resources and their value to California’s economy, environment and quality of life. All proceeds from this event support the California Preservation Foundation’s statewide education and advocacy programs. The Best of Products Awards deadline is approaching! Want to have your product recognized by The Architect’s Newspaper, the publication that architects, designers, and engineers say they trust the most to deliver the best architecture news in the United States? 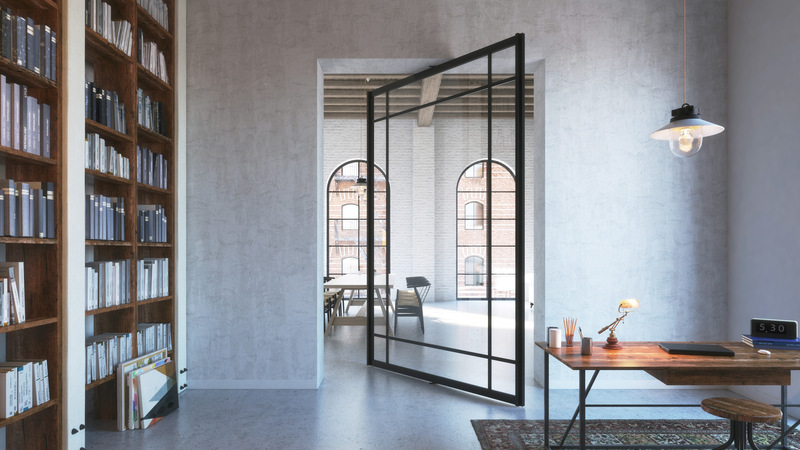 Applicants have until July 9 to submit their products to the 2018 AN Best of Product Awards, and this is our biggest year yet: there are 12 categories (Facades, Smart Home Systems, Kitchens and Baths, Interior Furnishings, and others) offering even more opportunities to win and have your innovative designs featured in AN. Our jury of architecture and design professionals will select 12 winners, gaining you the trust of the top tier of the AEC community (in addition to some serious bragging rights). AN offers multiple opportunities for visibility, including an editorial announcement in the September issue, December’s Annual Awards issue, and ongoing social media outreach, placing your product in front of more than 1 million industry readers throughout the year. Pictured above are previous winners, many of whom submit products year after year due to the value and attention the Best of Products Awards has provided. Don’t miss your chance to join the winners’ circle and reap the benefits of being named a 2018 Best of Products winner! Enter your product before the July 9th deadline by clicking here. A' Design Competition is one of the worlds' most prestigious international juried design competition where entries are peer-reviewed and blind-voted by an international 50-person experienced jury panel of outstanding scholars, established professionals and influential press members. Since 2009, the competition has attracted 30,000 Participants from 150 Countries. Last year, we awarded entries from 70 Countries and hosted 400 guests (Designers, Press Members, as well as Ambassadors and Consul Generals of five countries) at our Gala-Night in Italy. Brands such as Google, Nestle, Whirlpool, Bridgestone, Pirelli, Speedo, Nespresso, Coca Cola, Electrolux and Disney were successfully highlighted in the awards, and the A' Design Award Logo reached more than a billion impressions worldwide thanks to appearances in national televisions, newspapers, traditional and digital publications. Register: https://competition.adesignaward.com/ (should enter company name for Name and Company Legal title for Surname). Kindly download presentation guidelines from control panel and especially ask marketing or advertising or graphic department to prepare the images based on requirements. Nomination is done online and automated. But to make sure it is nominated correctly you should contact one of the support staff. The late deadline is on February 28th for Entries. For school alumni, solicitation emails from the alumni office usually elicit groans, not checks. University of Pennsylvania School of Design alum Lori Kanter Tritsch (M.Arch. 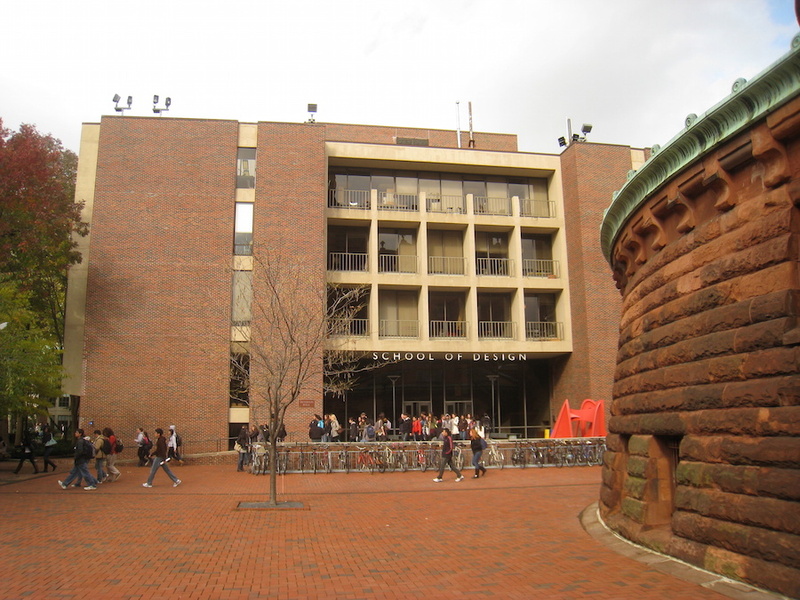 '85) took a slightly different approach, pledging $1.25 million to her alma mater to establish two prizes for architects. It is the largest single donation for fellowships the school has ever received. Kanter Tritsch is a career architect who sits on the school's Board of Overseers. She made the pledge with her longtime partner, William P. Lauder, the executive chairman of cosmetics giant Estée Lauder, who is also a University of Pennsylvania alum. Part of Kanter Tritsch's gift will establish a $50,000 fellowship for "the most promising graduate architecture student at PennDesign." This fellowship, dubbed the Kanter Tritsch Prize in Energy and Architectural Innovation, will be awarded yearly to a second-year M.Arch. student who demonstrates a thoughtful approach to the issues of "energy, ecology, and/or social equity." The gift will also establish the Kanter Tritsch Medal for Excellence in Architecture and Environmental Design, an award for practicing architects whose work has been under-recognized but who "changed the course of design history," particularly in their approach to energy, environment, and diversity. Current PennDesign faculty aren't eligible. Juries for the fellowship and medal will be led by Winka Dubbeldam, professor and chair in school's Department of Architecture as well as the founder of Archi-Tectonics. In a prepared statement, Dubbeldam complimented the gift's role in highlighting under-appreciated work: "The architecture profession can be slow to recognize young talent. At the same time, many established architects never receive the public recognition they deserve." The juries will be announced this fall, and the first set of winners will be announced in the fall of 2018. The Architectural League of New York has announced the two winners of its 2017 Deborah J. Norden Fund, a travel grant that was established in 1995. The grant is awarded to students and recent graduates in the fields of architecture, architectural history, and urban studies. This year, Kevin Malawski for Pikionis’ Pathway: Paving the Acropolis and Priyanka Shah for Deep Skins: Roger Anger’s Facade Operations were the recipients of the grant. They will both receive $5,000 to use for travel and study. Malawski, who currently works at New York–based EwingCole, will travel to Athens, Greece to explore the relationship between modern planning principles and regional sensitivity. Through sketches, photographs, and diagrams, his project revolves around the intricacies of Dimitris Pikionis’s five-kilometer, mid-20th-century pathway to the Acropolis. Located within olive tree groves to frame vistas, the mosaic-paved walkways also include gutters and trenches to divert water from seasonal downpours (a result of the Mediterranean climate). Malawski hopes to fill an academic void for Pikionis' architecture, which “employs a mix of operative regionalist undertones with modernism to define a space which authentically relates to the ancient Acropolis it is sited on,” he said. 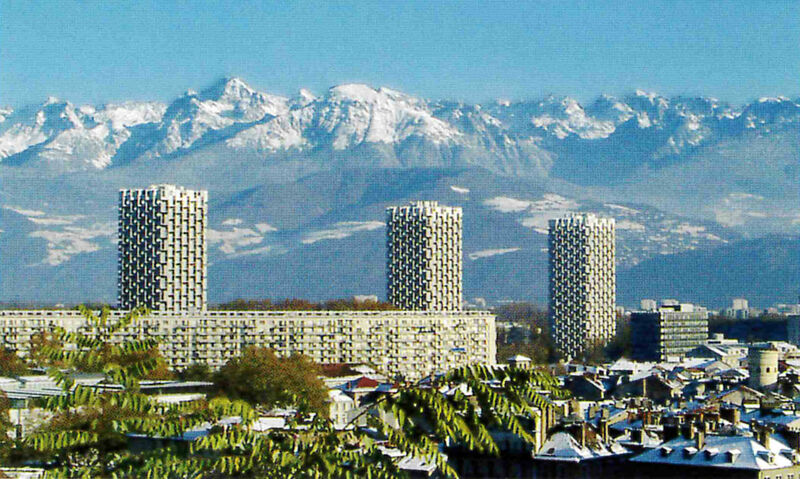 Shah, who is an architectural designer with international firm Grimshaw Architects, will go to Paris and Grenoble, France to document Roger Anger’s high-rise residential buildings, specifically looking at the geometric articulations and arrangements. Anger, an influential French architect in the 1950s and 60s, became known for his buildings' facades which present “a direct antecedent to contemporary computational design.” Upon his death, the majority of his works were kept with his estate and remain inaccessible to the public. Shah will consult archives and visit his buildings to create a comprehensive, digitized monograph of his designs. 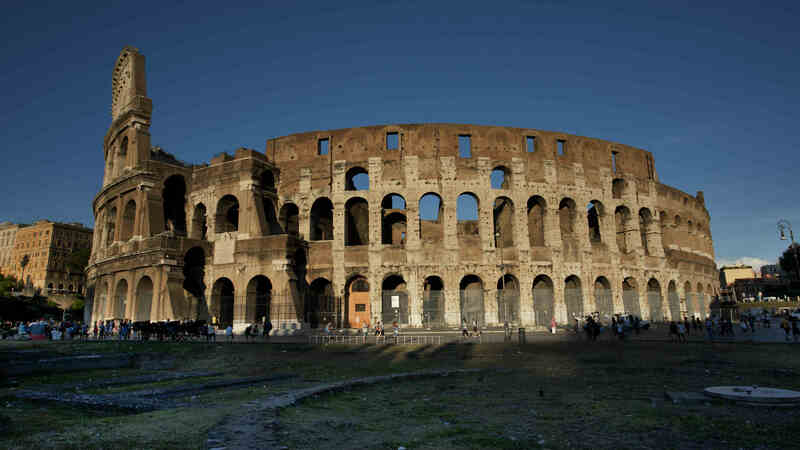 The American Academy in Rome announced its winners for the 2017–18 Rome Prize, a fellowship that supports advanced independent work and research in the arts and humanities. This year’s 29 recipients will receive a stipend, workspace, and living space at the Academy’s 11-acre campus in Rome to pursue further work among peers. Winners are selected annually through a national competition process and evaluated by an independent jury of scholars and artists. Highlighted below are the individuals that won the prizes for architecture, design, historic preservation and conservation, and landscape architecture. Architecture Founders Rome Prize Brandon Clifford Assistant Professor, School of Architecture and Planning, Massachusetts Institute of Technology Ghosts of Rome Arnold W. Brunner/Katherine Edwards Gordon Rome Prize Keith Krumwiede Visiting Associate Professor, Department of Architecture, Massachusetts Institute of Technology; Associate Professor, College of Architecture and Design, New Jersey Institute of Technology A Pattern Book of Houses for a World After the End of Work Design Mark Hampton Rome Prize Jennifer Birkeland and Jonathan A. Scelsa Partners, op.AL The Roman Roof-Scape—The Atrium as Landscape–Urban Infrastructure Cynthia Hazen Polsky and Leon Polsky Rome Prize Tricia Treacy Assistant Professor, Graphic Design, Department of Art, Appalachian State University modes + methods of dialog + collaboration Historic Preservation and Conservation Charles K. Williams II Rome Prize Lisa Deleonardis Austen-Stokes Professor, Department of the History of Art, John Hopkins University A Transatlantic Response to Worlds That Shake: Jesuit Contributions to Anti-Seismic Building Design in Early Modern Italy and Peru Booth Family Rome Prize Liz Ševčenko Director, Humanities Action Lab, The New School + Rutgers University–Newark Confronting Denial: Preservation for a Post-Truth Era Landscape Architecture Garden Club of America Rome Prize Rosetta S. Elkin Assistant Professor, Graduate School of Design, Harvard University; Associate, Arnold Arboretum Shorelines: The Case of Italian Stone Pine Prince Charitable Trusts/Rolland Rome Prize Alison B. Hirsch AND Aroussiak Gabrielan Co-founders, foreground design agency, Los Angeles, California; Hirsch: Assistant Professor of Landscape Architecture + Urbanism, School of Architecture, University of Southern California; Gabrielian: Ph.D. Candidate in Media Arts + Practice, School of Cinematic Arts, University of Southern California Rome Real-and-Imagined: Cinematic Fictions and Future Landscapes For more on the 2017–2018 Rome Prize winners, see this list here. For more on the American Academy in Rome, see its website here. The 2017 winners have been announced for the Docomomo US Modernism in America Awards, a program that highlights the importance of preserving modernist architecture, landscape, and design across the country. The winners this year feature projects that have faced threats of demolition but have been restored. In one case, a project was demolished but its dispute is headed to the state's Supreme Court in a precedent-setting case on preservation. The awards also celebrate the people and organizations working to preserve, restore, and rehabilitate these buildings and spaces. The 2017 Modernism in America Awards will be formally awarded on October 6, 2017, at the Design Within Reach Third Avenue Studio in New York City. Here is this year’s Design Award of Excellence winners and Citations of Merit winners. You can also find details on see last year's winners here. Design Award of Excellence: Bell Works Location: Holmdel, NJ Original Architect: Eero Saarinen, Kevin Roche, John Dinkeloo Restoration Team: Paola Zamudio (Bell Works Creative Director/NPZ Style + Décor), Alexander Gorlin Architects (Lead Architect) Client: Somerset Development The first mirrored glass-enclosed structure designed by modernist architect Eero Saarinen was once home to Bell Laboratories (later owned by AT&T, Lucent, and ultimately Alcatel-Lucent). 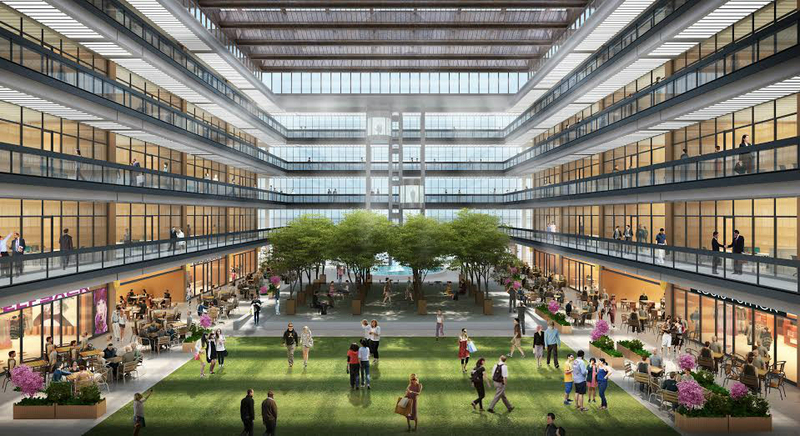 Once Alcatel-Lucent left the site and murmurs of demolition became known, Somerset Development and Alexander Gorlin Architects transformed the site into a two-million-square-foot mixed-use “metroburb” now known as Bell Works. “This is an ambitious project that has reconfigured what was once the largest vacant commercial building in the country into a dynamic urban center,” said architectural historian Robert Nauman in a press release. It was awarded the Commercial Design Award of Excellence. Yale Center for British Art Location: New Haven, CT Original Architect: Louis I. Kahn Restoration Team: Knight Architecture LLC (Restoration Architect); Yale Center for British Art; Yale University Office of Facilities (Department of Planning and Project Management); Turner Construction Company (General Contractor); Peter Inskip & Peter Jenkins Architects Limited (Conservation Architect); Wiss, Janney, Elstner Associates, Inc. (Structural Engineer and Building Conservation Consultant); BVH Integrated Services – Engineer (Mechanical, Electrical, Plumbing and Fire Protection); Philip R. Sherman, P.E. (Code Consultant); Staples & Charles Limited (Furnishings, Fixtures and Equipment Consultant); Michael Morris, Metropolitan Museum of Art (Architectural Conservator); Strong Chen Graphic Designers (Graphic Design); LMB Facilities Solutions, LLC (Logistics Consultant); Stephen Saitas Designs (Exhibition Designer) Client: Yale University Office of Facilities, Yale Center for British Art The Louis Kahn–designed building was awarded the Civic/Institutional Design Award of Excellence for its restoration. The Yale Center for British Art opened in 1977 and, after escalating conservation pressures, its current director Amy Meyers established a conservation plan that set policies for future care of the building. The restoration project was phased over 10 months in 2015. The Bubeshko Apartments Location: Los Angeles, CA Original Architect: Rudolph M. Schindler Restoration Team: Eric Haas, AIA & Chava Danielson, AIA – DSH Architecture (Restoration Architect), Joe DeMarie (General Contractor) Client: Madeleine Brand & Joe DeMarie The restoration project for the Bubeshko Apartments, one of the few intact family dwellings designed by modernist Rudolph Schindler, led to a Residential Design Award of Excellence. Schindler’s vision was that of a “Greek hillside”—a framework for individuated apartments, each with a direct connection to the outdoors, that work collectively. “Instead of transforming the complex into luxury condominium pods, the owners and restoration team gave careful consideration to both the original intent of the architect and original owners, thus ensuring this unique addition to the cultural life of Los Angeles will be admired and enjoyed for years to come,” according to the jury. Heroic Project & Heroic: Concrete Architecture and the New Boston Location: Boston, MA Heroic Project: Chris Grimley, Michael Kubo, Mark Pasnik Publication Team: Alan Rapp, Madeleine Compagnon, Michael Vagnetti and Gianfranco Monacelli, Monacelli Press, Reem Kanoo, assistant editor James Jarzyniecki, axonometric drawings Ann Lui and Josh Niemiec, researchers Contributors: Joan Ockman, Elizabeth Cohen, Keith N. Morgan, Douglass Shand-Tucci (essays); Peter Chermayeff, Henry N. Cobb, Araldo Cossutta, N. Michael McKinnell, Tician Papachristou, Frederick A. “Tad” Stahl, Mary Otis Stevens (interviews) Additional support: Graham Foundation; Zan Foundation; over,under; pinkcomma gallery; Bruner/Cott Architects and Planners; Simpson Gumpertz & Heger; Esto Calhess; Students of Wentworth Institute of Technology; Dozens of photographers and archivists who provided access to resources; More than 200 contributors to the Heroic funding campaign Awarded the Advocacy Award of Excellence, the Heroic Project and its book is an eight-year research initiative into Boston’s concrete architecture from 1960 to 1976. It led to an advocacy effort to preserve the city’s Brutalist architecture, including exhibitions, design studios, research seminars, lectures, interviews, tours, and landmark preservation campaigns. “By celebrating the artistry and design of concrete architecture in Boston and beyond, the Heroic Project redefines Brutalist architecture locally, nationally and internationally,” according to the Docomomo US Board of Directors. Save the Reactor Campaign Location: Seattle, WA Organization: Historic Seattle; Washington Trust for Historic Preservation; Docomomo US/WEWA The campaign aims to honor the role and impact of nuclear science during the Cold War, and its efforts have been awarded the Advocacy Award of Excellence. While the brutalist Nuclear Reactor building on the University of Washington’s campus was demolished, the Washington State Supreme Court is expected to rule on the bearing of local preservation ordinances over state institutions of higher learning who claim an exemption. Citations of Merit winners: The Stuhr Museum of the Prairie Pioneer (Grand Island, NE), American Enterprise Group (Des Moines, IA), Boston University School of Law (Boston, MA), Vincent G. Kling Mid-Century House (Gladwyne, PA). For more on the Design Award of Excellence winner and Citations of Merit winners, visit Docomomo US's website here. 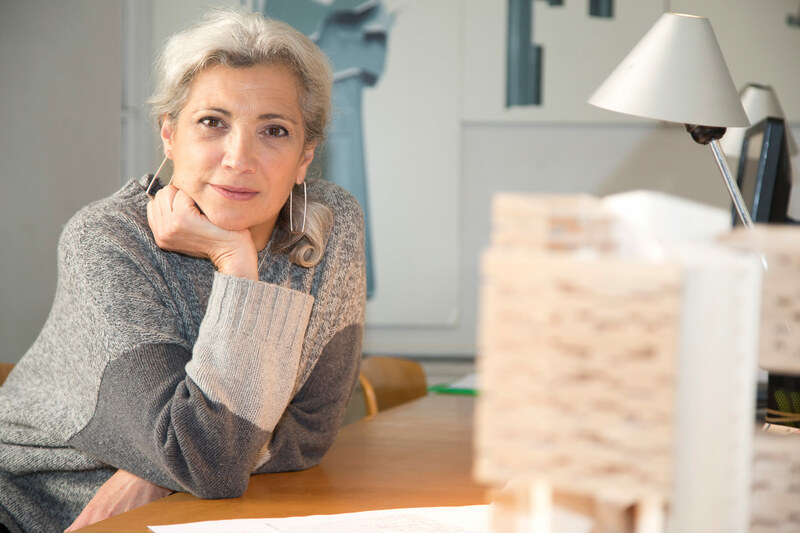 Carme Pinós, the award-winning Spanish architect and academic, has been named the recipient of this year’s Berkeley-Rupp Architecture Professorship and Prize. The award, bestowed by the University of California, Berkeley’s College of Environmental Design (CED), highlights the accomplishments of a “distinguished design practitioner or academic who has made a significant contribution to advancing gender equity in architecture, and whose work emphasizes a commitment to sustainability and community,” according to a press release by the CED. The prize includes a $100,000 award, a one-year professorship at the school, and a public lecture and gallery exhibition also to be held at the school. In announcing the prize, CED Dean Jennifer Wolch praised Pinós’s studied and broadly-based portfolio of work, stating, “Her outstanding design, vibrant intellectualism, dedication to public architecture and landscape in the public realm, and support of women-led economic development embody all that we strive to cultivate with this prize.” Pinós founded her namesake firm in 1991 after garnering high regard with the designs for the Crematorium at Igualada Cemetery in Barcelona, Spain with Enric Miralles. Recent works include the Caixa Forum Zaragosa in Zaragosa, Spain as well as the Cube I and Cube II office towers in Guadalajara, Mexico. Among many other projects, Pinós’s office is currently designing a master plan the French town of Saint Dizier. Pinós will begin her residence at CED during the spring semester of 2018 and will utilize a semester-long graduate research studio to conduct inquiries into one of her latest projects, which, through a partnership with Albert Faus and support from the Ministèrie de L’Habitat et de l’Urbanisme du Burkina Faso, will look into the development of a new, low-cost, sustainable thermal insulation made from peanuts. The project aims to utilize formal associations among the mostly-female peanut farmers of Burkina Faso to develop a production plant to produce the insulation. The project also aims to erect an agricultural training and investigation center to fuel the effort. In 2012, Deborah Berke, founder of the award-winning firm Deborah Berke Partners and current Yale School of Architecture dean, was awarded the inaugural Berkeley-Rupp Professorship and Prize. Sheila Kennedy, founder of Portable Light Project, a venture that aims to bring solar textiles to the developing world, received the prize in 2014. The 2016 Architectural League of New York's League Prize for Young Architects + Designers focused on the theme of (im)permanence. As the League's website says, this year's competition "asks how time affects architecture’s assertion of style, methods of assembly, and relationship to program." 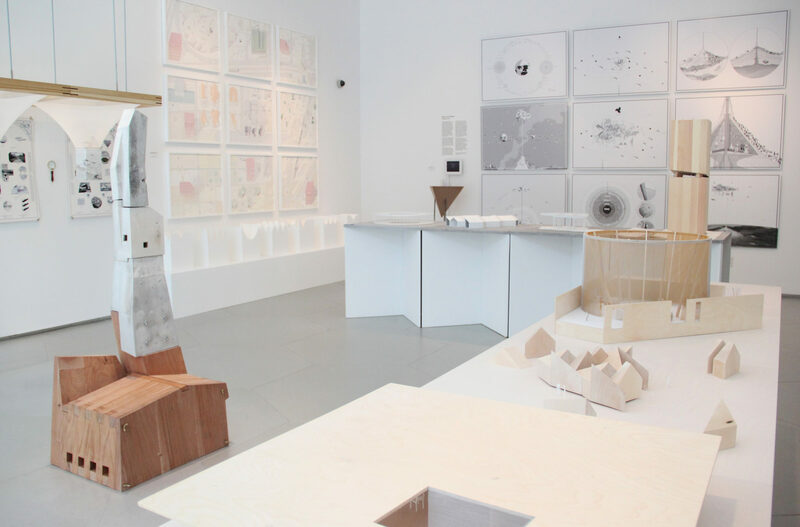 The exhibition, open until July 30, showcases the drawings, models, and research of the winners at the Arnold and Sheila Aronson Galleries at Parsons School of Design at The New School. As The Architect's Newspaper reported in May, this year's diverse group included: Rania Ghosn and El Hadi Jazairy, DESIGN EARTH, Cambridge, MA and Ann Arbor, MI Juan Alfonso Garduño Jardón, G3 Arquitectos, Querétaro, Mexico Neyran Turan and Mete Sonmez, NEMESTUDIO, San Francisco, CA Neeraj Bhatia, The Open Workshop, San Francisco, CA Hubert Pelletier and Yves de Fontenay, Pelletier de Fontenay, Montreal, Canada Yasmin Vobis and Aaron Forrest, Ultramoderne, Providence, RI Three of the winners will also discuss their responses to the theme of (im)permanence in a June 30 lecture; the event can also be streamed live through the Architectural League of New York. The 2016 League Prize was organized by the Architectural League and its Young Architects + Designers Committee.